When I was leaving school I had a short chat with the School Careers Counsellor. This went something like: “So do you want to work in a shop, a hair salon or an office?” Fortunately I knew I wanted to work in an office already and was pretty focused in training as a Secretary at that time but what if I did not have a clue? Here was someone who did not even know me exploring my future career in a meeting which would last no more than 15-30 minutes. I was lucky enough to have a vague idea of where I wanted to go and I followed through on my plans with a two year London Chamber of Commerce Secretarial Course at Barnfield College. This turned out pretty well for a solid career which has given me some great opportunities and experiences. Thankfully school pupils today are given a great deal more preparation and access to opportunities and information when at this stage of their school life. If by the age of 16-18 students have not got some idea of the direction they see their future career taking this can be quite alarming for some. So how do you help these students? I think the solution could be found in business networking and believe students should be encouraged to attend networking meetings with their parents (if they already network themselves) or networking opportunities should be made available in some way through Colleges and Schools. I took my teenage sons (aged 14 & 16) to a few of my own 4N networking meetings this summer to test my theory and to give them some real life experience. They each went to a different 4N meeting with me on two separate occasions. 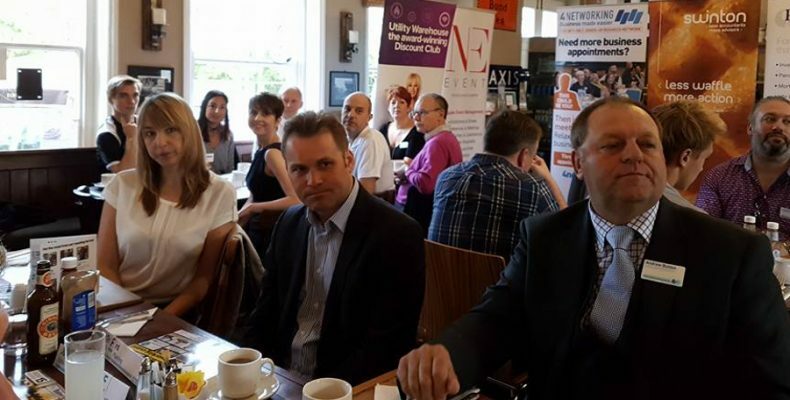 Then I took them both to the same 4N meeting – currently the largest 4N meeting in the UK. The outcome was as I hoped. They were naturally a little uncomfortable but began to engage and mix with the adults present. The adults were happy to talk and listen to what they had to say. Both my sons had a great experience of the future possibilities that may await them in the very near future. and one of my sons is now going to have some work experience next week thanks to a fellow 4Ner, Lee Kirk, talking the time to both listen and talk to a teenage networker. I must confess to offering some incentive in that pancakes were added to the breakfast menu to create teenage encouragement. It turned out these went down rather well and the networkers now want this offering to stay on the menu! Talk about win-win!